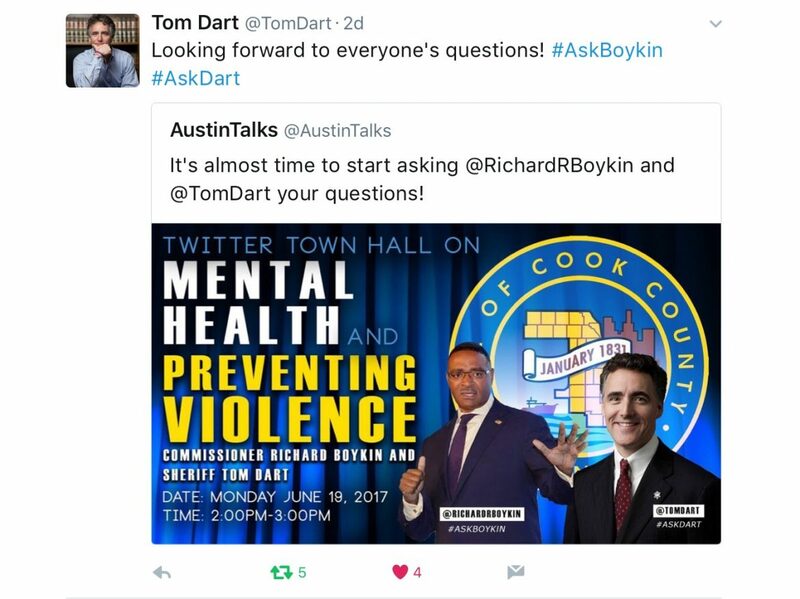 Cook County Sheriff Tom Dart and Cook County Commissioner Richard Boykin teamed up earlier this week to discuss mental health and gun violence in a live Twitter town hall. AustinTalks moderated the conversation, asking the elected officials questions sent in by community members online using the hashtags #AskBoykin and #AskDart. AT: Why this topic now? Why is it so important to you personally? Boykin: Because the safety of the people I represent is my No. 1 priority. Dart: When the criminal justice system is this broken, it’s wrong from both moral and fiscal standpoints, destroys and bankrupts our communities. AT: Let’s talk mental health and gun violence. How do they intersect, and can you tackle violence with healthcare? Boykin: I think that gun violence is a public health issue. A lot of people pulling the trigger suffer from mental illness. Dart: Every minute cops spend addressing untreated mental illness is a minute they’re unable to address to ongoing gun violence. AT: With limited funding, how can those with mental illness get help? Boykin: We need to expand community mental health clinics and utilize closed schools to treat people. Dart: Unfortunately, the only treatment many of these people get is in my jail. Shameful. Lucky to have partnerships with organizations like NAMI Chicago (National Alliance on Mental Illness). AT: What can advocates do to support change? For both violence prevention and mental health advocacy. Dart: [We] must reach vulnerable young men on front end, before point of no return. See our new SAVE program in the jail. 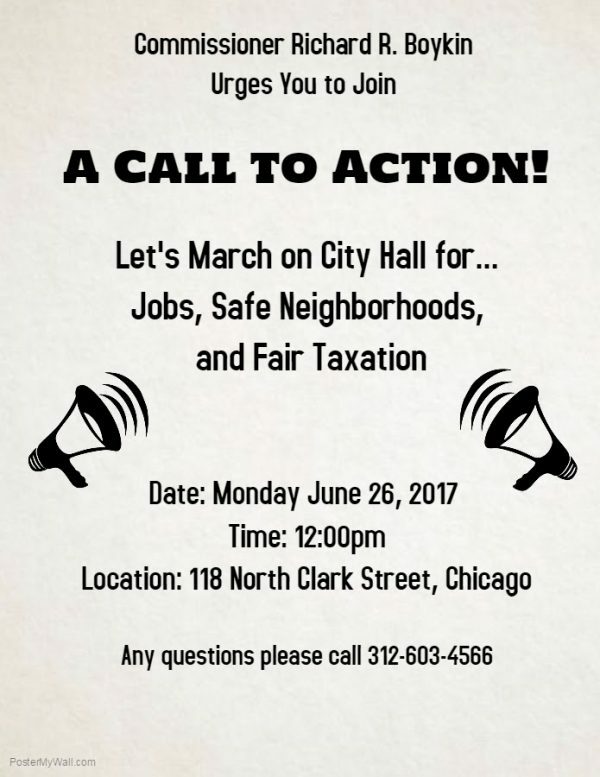 AT: Finally, what if any, advantages does Chicago have at its disposal to combat mental health and gun violence problems? Boykin: We have [Cook County Health and Hospitals System] that’s actually doing research right now on gun violence and [the] most compassionate sheriff, Tom Dart, in the nation. Dart: The national attention means these issues can’t be slid under the rug or sugarcoated. [There is] no choice but to address [it] quickly and thoughtfully. For those who missed the conversation but would like to see the questions, answers and additional follow-up questions as they were posted, as well as community input, follow @AustinTalks on Twitter or search the hashtags above. Third Unitarian Church will be among the rest stops for the annual charity event May 7th.